Transfer your pattern or drawing onto the surface of the art board. Using an art knife, cut through the release paper along all pencil lines. 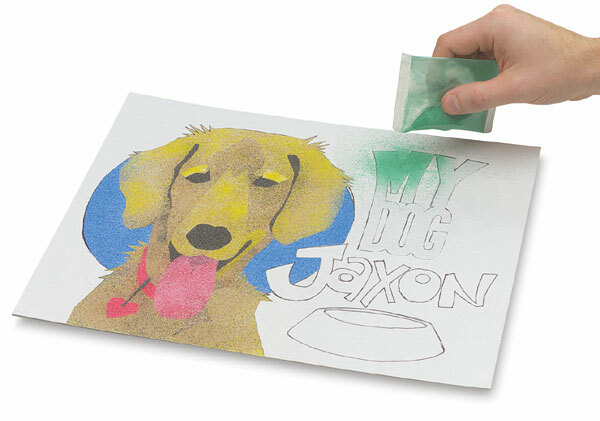 Select your first color, remove all pre-cut areas of release paper for that color, then add sand.